Sometimes, you get these moments where you’re reminded of how lucky you are, as a football fan. I’m 18, but I’ve seen things that some people could go a whole lifetime without witnessing. Over the past nine years, my time supporting City has been characterised by the dichotomy between what I once knew – 18th placed finishes – and what I now know. We know ‘life on the inside’, everyone else starting inwards with pity. We know ‘life on the inside’, everyone else staring inwards with envy. I know what it’s like to pull off the greatest FA Cup upset of all time. I know what it’s like to watch your team play in a cup final. 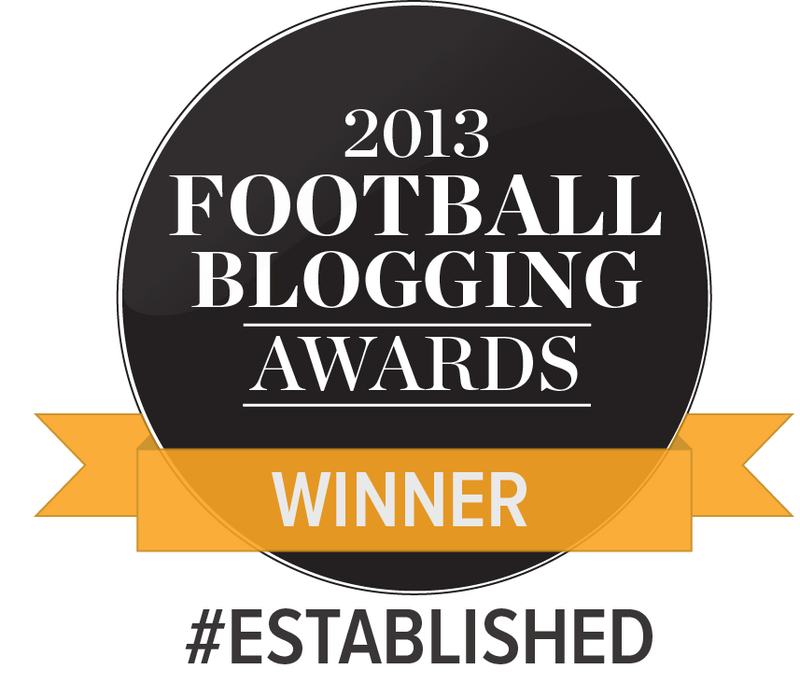 I know what it’s like to lose to Accrington Stanley, and to Barnet, and to Yeovil. Find me another set of football fans who can make all those claims at the same time – you just can’t. They don’t exist – at least, not in England. We’ve lived a hundred lives in the space of five, ten years. We’ve been the other half for a days and weeks at a time – but we’ve always been undeniably, irrevocably, unforgettably us. As the season ramps towards its conclusion – there are now just four games left – this team have the chance to let us live one more life: they can let us be League One play-off winners. We could be a Championship club. We could return to Villa Park – but this time, we’d be on level terms. If that’s not an affirmation of what’s at stake, and of how much has changed, I don’t know what is. This team have to give us everything they’ve got. As post-match reactions go, everything about it was preposterous. Tweeting a picture of your latest supercar as the dust settles on your 6-0 loss to Liverpool probably hovers somewhere in the environs of the ill-advised, after which the best PR move is obviously to shoot yourself in the foot again by deeming relegation a “weight off your shoulders”. Every football fan’s heart panged for Aston Villa in that moment. That dressing room is just diseased. No one could possibly have kept that team up. There’s an common narrative in football that other people just don’t understand. We’re tribal. We’re too obsessed. We’re constantly in need of stimulation. We cry at goals that mean nothing to a world still spinning. We’re a weird species, apparently. At its worse, that lack of synchronicity, that disjunction, extends to your own players – your alleged representatives. They’re not bound by loyalty, by honour. Money talks, and money divides. You don’t *get* us. As Joleon Lescott dug his hole, and the world grimaced and winced once more, and the beleaguered Birmingham side took yet another damning uppercut to their dignity, perhaps the most chilling thing was that subtle twinge of empathy. We’ve been there, haven’t we? That feeling of being woefully misunderstood, underrepresented. The banal mundanity of Peter Taylor. I’ve repressed most of the memories of that year, but hearing Lescott at the weekend… It was like that moment in every cartoon ever where the protagonist is hit on the head and gains renewed clarity amidst the nausea, a sudden awakening of everything they’d done their level best to forget. We’ve been there, haven’t we? Sure, no one rushed to upload a picture of their Merc after Barnet at home in 2011, but you get the idea. We’ve danced on those margins, and nearly tumbled off the precipice. We’ve flirted with the moments that would have changed the entire landscape of this football club. The difference is Phil Parkinson saved us from ourselves. The timing of Lescott’s comments seemed particularly apt, for me personally. Two days prior, we spoke to Tony McMahon ahead of the WOAP podcast launch this Friday. And it’s a cliché – because we know how much this team understands us – but I came out of that ten minute interview with so, so much respect for him. He was up there in my estimations anyway, but he spoke that day with total and utter sincerity and conviction. He loves this club. He pushes himself to breaking point. He has a score to settle that’s made him determined to win promotion for his team this year. His single-mindedness was akin to Gary Jones’. Driving home with my mum afterwards, we came back to this idea of trying to pinpoint what success means to footballers. For fans, the convenient narrative when things go wrong is, clearly, that some players just don’t get it. Footballers don’t hurt in the same way we do. Which shouldn’t be the case, really, because A) they’re human, and B) the amount of dedication it takes to play football to a professional level should weed out the halfweights. But Coventry City would probably beg to differ. My theory contradicts what we see with our eyes, right? Or what people think they see with their eyes. We’ve seen players that don’t care, haven’t we? Or have they always cared? Do we just all show alienation in different ways? I think there’s a bit of hypocrisy in there, too. We all peddle the Against Modern Football line, chastise players for picking up £200,000 a week, and yet attain some sort of sadistic pleasure when they show genuine emotion and weakness – see here and here. That Gerrard slip was number three on Footballs’ Funniest Moments the other day – it wasn’t funny! If you’re a football romantic, it was heartbreaking. The best thing about this club is that our players understand us at a time when the rest of the football world wants to hit out and start over and turn the clock back to 1991. This season has given us the one ludicrous, unfathomable, 5000/1 fairytale that is just weeks away from restoring humility to the Premier League, but it remains compelling precisely because of its isolation. That kind of thing is so impossibly difficult to do, and even when you get past the explanations about Jamie Vardy, Danny Drinkwater, Robert Huth, Chelsea/Arsenal/Manchester United/Manchester City all capitulating to varying degrees, it still does not make sense. There’s a similarly enchanting humanity to the Parkinson era: players live and die by what happens on the field. And that won’t always be visible in the same commanding, domineering way Gary Jones pioneered, but it doesn’t mean it’s not there. This team might not be the strongest in the division, man for man. They have their shortcomings. There are things they don’t do well. But they get a lot of things right, too. And they’re getting their A* in the most important subject: they care about us. Where it matters, this team deliver in spades. If any club comes close to knowing how the Leicester fans are feeling, it surely must be us. Oh, and the thought of our lot doing stuff like this together just makes me smile. Speaking in the days leading up to the Chelsea game, Parkinson pinpointed what he felt was the best thing about Jose Mourinho: he lets the results do the talking. That game against Liverpool, in 2014, changed the title race and was a masterclass in how to gameplan. It was ugly, but who had the last laugh? Given the tension that characterised the first third of this season – the question of whether pragmatism was too heavy a price to pay for getting the points on the board – revisiting these comments feels pertinent. Now, things are a little different: City still can’t really kill teams off, but they’re looking a whole lot stronger than they did initially. Parkinson’s belief in his own judgement – personified once more in dispensing with Gary Liddle and Devante Cole in transfer window business that will define this season – is completely commendable. Where we could have floundered, he has steadied the ship in spectacular fashion. In the wake of Valencia’s sacking of Gary Neville, one of the pundits on TalkSport boldly declared, “The only route into management now is the Eddie Howe route,” nonchalantly discounting the fact that Howe, then 31, entered a debt-riddled club seven points from safety, fending off the bailiffs, laden with a 17-point deduction and where the choice was, plainly, survive or die. Howe worked wonders, obviously, but if that kind of baptism of fire is the ‘only’ route into anything, we’re all doomed. Outright dismissal of Gary Neville is probably amiss, but it doesn’t mean that the conclusions you can draw from his spell aren’t valid. Ultimately, ‘good manager’ is such a bad label. How do you measure success? It’s all club-dependent. It’s probably a case of ‘most appropriate manager’, or ‘best fitting manager’. And then you get into the chicken and egg argument: does the manager make the club, or the club make the manager? Is it fifty-fifty? Is one approach better than the other, from a longevity point of view? If we’ve learned anything from a season in which 49 managers have walked to the guillotine, it’s that, even within this emphasis on short-termism, finding the ‘right’ manager is just plain hard. 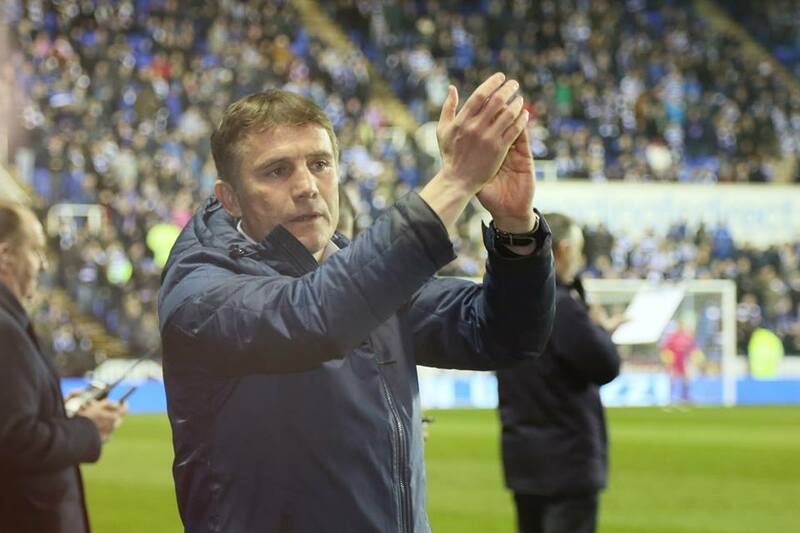 I’d like to convince myself that no manager is inherently ‘bad’ – Peter Taylor’s track record shows he won promotions for the very tenets we deplored him for – but we got so, so, so lucky with Phil Parkinson. He gets this football club. He gets these fans. He gets this city. He’s not afraid try something new. He invests in a sport science-driven ethos that clearly works. He’ll gamble when it matters. He manages big characters. He manages to appease those who are not in the team. He has a vision. Money doesn’t talk. If you’re good, you’re in. If you’re bad, you’re out, long-term contract or not. He laughs in the face of pressure. He proves himself time and again. He always finds solutions. Tellingly, amidst all the poor runs of form he’s presided over, he’s never once lost the dressing room. He is the perfect fit for us, and we’re the perfect fit for him. To go back to the chicken and egg argument, it scares me that, one day, we will not have Phil Parkinson. Something, somewhere along the line, is going to break this journey up. This era cannot last forever. I’m hoping he does a Sir Alex, but we can’t tell. We need to embrace and cherish everything he has done for this club. 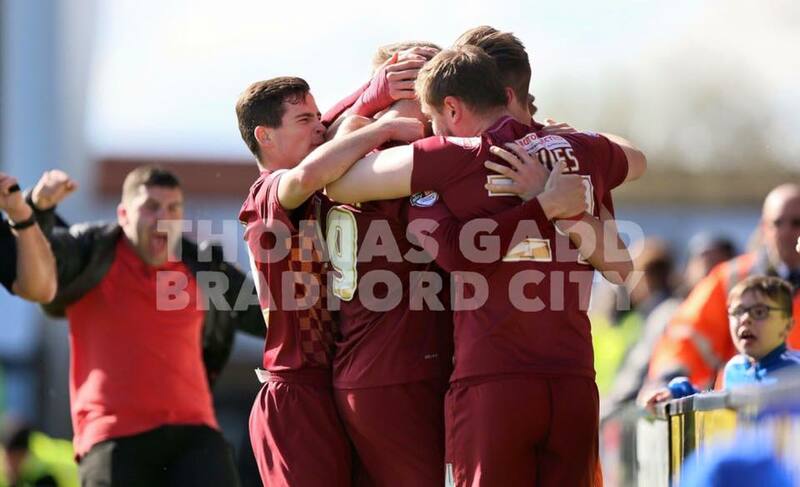 Because Bradford City, right now, is inescapably Phil Parkinson. And personally, I wouldn’t have it any other way. Listen to the first WOAP podcast on Friday at 12pm, featuring an interview with Tony McMahon and punditry from Katie Whyatt, Jason McKeown, Tim Penfold and Alex Scott. Go to http://www.thisislsr.com and click ‘listen live’. Alternatively, you can listen to the show afterwards on Mixcloud – we’ll put the link on here, Twitter and Facebook. First Class, agree with just about every word. Bringing 3 Charlton fans to Coventry tonight. How they wish they still had Phil Parkinson..
Agree with everything you said Katie. So proud of the club and the progress made under Parky, and we are doing it without spending what we haven’t got, keeping all the fans at the heart of the club. Well done Katie. Yet another outstanding article and one which I thoroughly agree. I am in my 6th decade of watching City and have seen many managers come and go. Some have failed and left and some have succeeded and left. In the current climate of ‘quick fix’ mentality, it is a credit to the directors that they have maintained faith in PP, even though there have been barren periods when sacking the manager could have been seen as the easy option. Thank goodness they kept the faith. A salutary lesson for the board at Bramall Lane methinks. Yesterday my Facebook timeline told me that, seven years to the day, I had been setting off to watch The Bantams away at Dagenham. As I remember it was a game we lost, and ‘Stuart’ with his heart on his sleeve, came and apologised to us travelling fans because ‘he’ had failed to get us promoted. How things have changed since then. Evolution and not Revolution should remain our mantra….. Excellent article. Very well written. I listened to Roger Owen stand on the pitch on a cold January Saturday afternoon a few years ago and tell us that the board thought they had someone in Phil P who was going to turn things around. How right he was. “Commeth the hour commeth the man”. I hope he stays with us for as long as possible. I remember when my other team (split loyalties here) sacked Bobby Robson for not performing (or so they thought) – well boys, there’s a chance you’ll be playing the City next year – and I’ll be wearing Claret and Amber! Unfortunately however, we all know that lean times will come again and with them the stock phrases like “Parky’s taken us as far as he can” and “#parkyout” will return at some point. Maybe if you are critical of Parky, his tactics or his approach to the game you should register your complaint now, whilst we’re doing well. This will add greater credibility to your criticisms further down the line. Maybe I’m being a bit churlish but I get fed up of having to defend the guy when we aren’t playing so well. Its as if supporters have gold fish memories. Whatever the result tonight, and wherever we finish this season Parky deserves our complete respect. Great post katie, makes you proud to be a City fan.